White Tee Shirt. I actually have multiple white tee styles & would suggest that you should do. Long sleeves, tanks, v necks, even turtlenecks in a crisp white shade are a great layering pieces to start any look with. I stock up on my white t shirts from Forever 21 because they are SO affordable & have a huge range of classic styles. Dark Wash Jeans. I have always been a fan of a distressed look, especially on the weekend. I love that worn in feel of a ripped jean, but as with white tee shirts, there is a huge range of jean style to choose from. Skinny, straight, flare, distressed...in a dark wash, each of these styles is flattering, & again, a great basic to have in your closet. White Sneakers. While I love statement shoes & sneakers that are bright, fun colors or patterns, I can honestly say, there is no pair that I wear as often as my white Stan Smith sneakers. A classic white pair matches everything & while you need to be cautious to keep them clean, it is totally worth it! Do you agree with my classic pieces? Tell me in the comments in below! 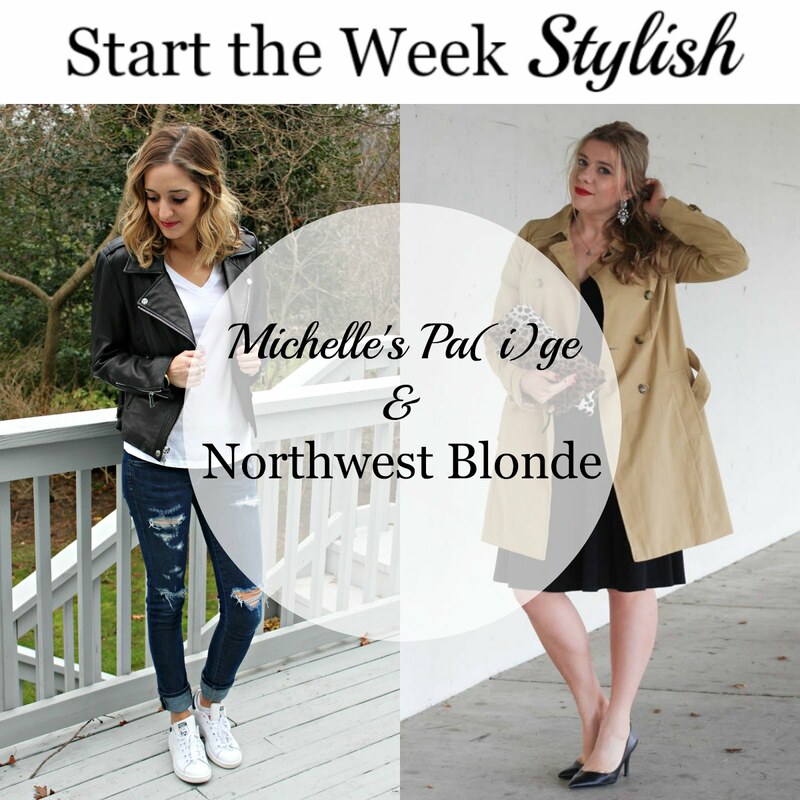 Meet our co-host for this week's Start The Week Stylish linkup: Jessica from Cubicle Chic. Jessica is a San Diego based fashion blogger who who focuses on outfits for the corporate setting. Her outfits are polished & professional but still showcase her personal style. Be sure to stop by her blog his week and say hello! 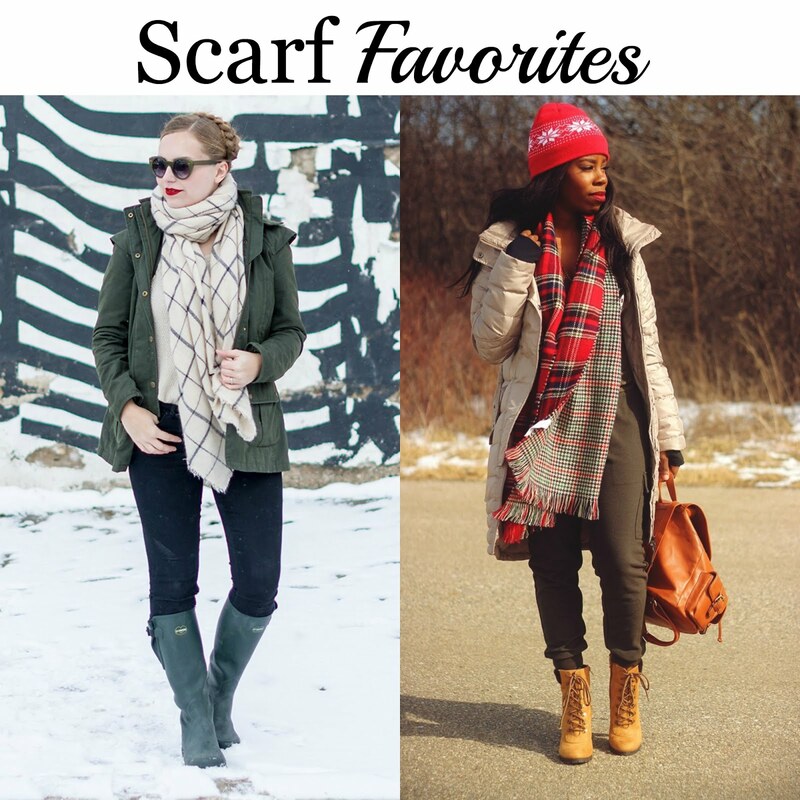 Last week we loved the scarves Chanda from Birth of a Fashion Blogger & Ashley from SedBona wore! Cute casual look and love those jeans!! the jacket with the kicks are perfection! Perfect look! Such great basic, comfy pieces but still so fashionable. Love this chic casual but edgy look - but your hair is also killing it! Have a fab week ahead! I agree, a white or black tee or shirt is a must in my wardrobe and get worn several times a week. Thanks for hosting, and cute look today Michelle! Love the classic chic look! Most definitely my kind of outfit! LOVE from head to toe! Thank you for the feature! I really appreciate it! I LOVE this look Michelle! It most definitely something I would and do wear. You look beautiful! I'm so glad! I always try to make my looks relatable - but I feel like this one especially was. This is the perfect athleisure look with an edge! Loving this simple, classic look! This is such a great look! Love that you included us fifty-somethings in your post! Of course -these are great pieces for women of all ages! Love the outfit, super simple but looks put together! Yes! You would love these! They are simple so they match with everything! Such a comfortable and casual look. Love your hair and your shoes! This is such a casual look, I could wear this every day! I just got some Converse and they are monogrammed... I just love them! WOW that is SO cool! I want a pair ASAP! Such a cute, simple outfit. Loving the leather jacket! Such a classic, yet stylish look! I live in all of these classic pieces too, except I need a new pair of white sneakers! This is totally what I would wear for off duty classic!! This is totally stylish and timeless, I love it!! And thanks for the chance to co-host for this week's link.. I totally enjoyed it and I look forward to future co-hosting opportunities! You are so right about these never go out of style! The kicks are so hot right now. I adore leather and have a couple of leather jackets. My fave is a my biker inspired one in black from Rome. Absolutely love it. Love how you styled yours! Wow - sounds awesome! I don't blame you that it's your fav! I always love the 'attitude' a leather jacket can give an outfit-- love it with the distressed jeans and white shoes. Great outfit! Me too! So edgy - even with a dress! You're so right that outfits made of those classic wardrobe staples are the best. Both cool and comfortable! I need a couple of plain white tees. Thanks for your tips about looking at F21. Love the White Stans Adidas pair. This casual look is flawless with the sporty vibe. Forever 21 has the best basics! I always pick up a few tees or pairs of leggings while I'm shopping there.